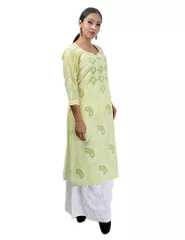 Beautiful pale yellow teri-cotton kurti. 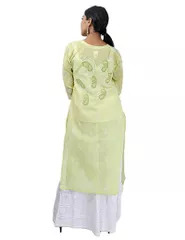 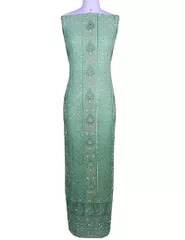 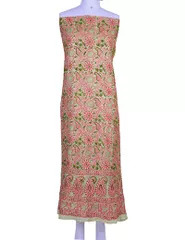 Decorated with heavy chikankari work in white and mehendi green thread. 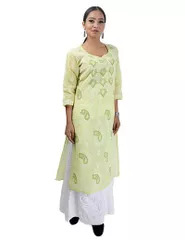 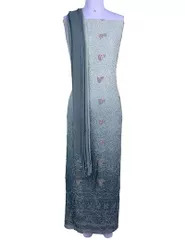 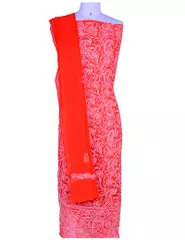 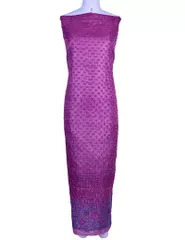 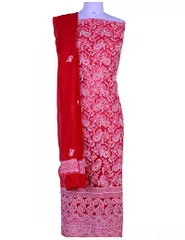 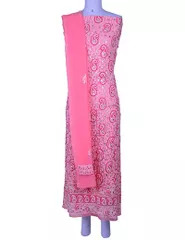 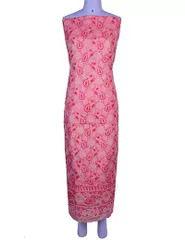 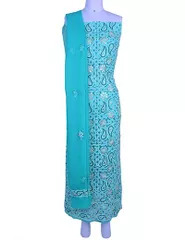 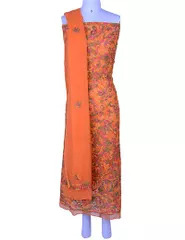 The long kurti is adorned with bakhiya (shadow) murri fanda, jaal work all over. 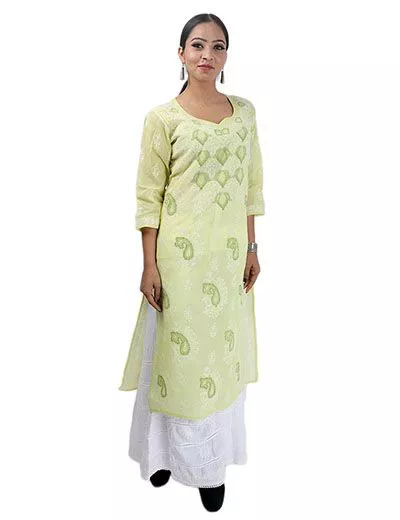 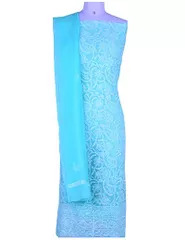 Crafted in kangoora neckline and full sleeves, this kurti is ideal for all occasions.